TKTS has been a New York City institution for decades, bringing theatergoers a last-minute way to get tickets for some of Broadway’s hottest shows at a discount. TDF operates three TKTS Discount Booths in New York City: Times Square, South Street Seaport, and Brooklyn. For a list of available shows today, click here. A list of all Broadway shows running or opening soon in New York, with links to reviews and ticketing. Click here for more info. Packed with all kinds of theater-lover info, including news, photos, interviews and job listings. Click here. Besides the free program ushers hand us at shows, Playbill is a website with more info than you can digest about Broadway and Off-Broadway productions and news from London productions and North American touring companies. Click here. 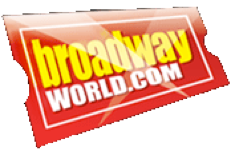 IBDB (Internet Broadway Database) is a fantastic archive and official database for Broadway theater information. It is operated by the Research Department of The Broadway League, a trade association for the North American commercial theater community. IBDB provides records of productions from the beginning of New York theater until today. It’s for past shows, present shows and upcoming shows and is totally dependable. Click here to begin your search.